Coming to John Wood in the fall? 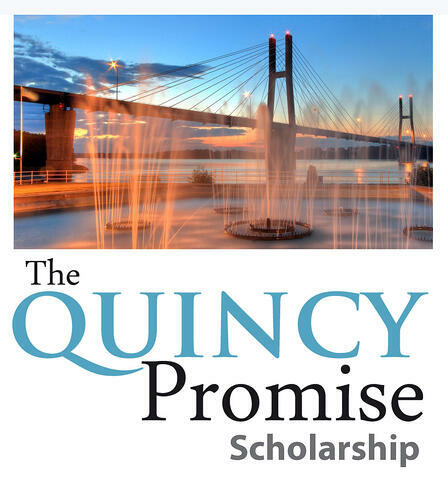 You might qualify for a one-time Quincy Promise scholarship - up to $3,000! Please note that the Quincy Promise is last dollar grant. This means that all free financial aid and outside scholarships must be applied prior to Quincy Promise funds. Quincy Promise funds are also on a first come, first served basis. All items listed on the right side form must be complete for your application to be considered. Quincy Promise is a one-time grant that is not renewable and will be awarded in increments up to $3,000 depending on needs and available funds. After a review of complete application, priority funding will be given to students who have registered and completed all financial aid outstanding items by July 1st.